Alicante between marches and arquebuses. SAINT JOHN’S BONFIRE: It isn’t about making a flame. 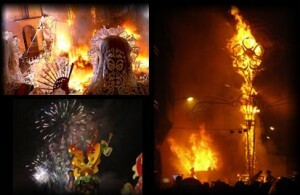 The Bonfires of Saint John is a popular festival celebrated around Saint John’s day’s eve (23 June) throughout many cities and towns in Spain; the largest one takes place in Alicante, where it is considered the most important festival in the city. For this festival, people gather together and create large bonfires from any kind of wood, such as old furniture, and share hot chocolate while teens and children jump over the fires. Recently acknowledged as one of Europe’s best fiestas, the “Fogueres de Sant Joan” have all the ingredients necessary for a unique experience. You’ll be surrounded by warmth, colours and sensations. 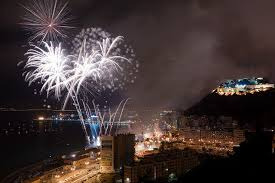 You must simply come to Alicante when summer begins and get filled with sensations, musical sounds, thundering powder, beautiful women, eternal fireworks and nights when streets are lived. You will, for sure, integrate as another Alicantinian and walk restlessly through its streets. 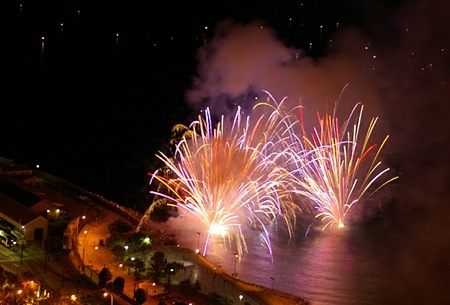 Once declared as National Touristic Interest, and later as International Touristic Interest, today Alicante Bonfires are, besides, Official Celebrations of the city of Alicante. 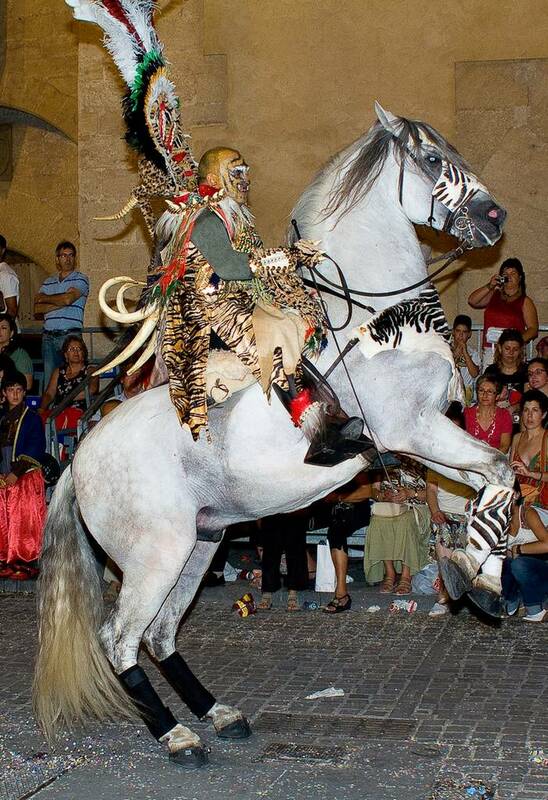 The Moors and Christians is a set of festival activities which are celebrated in many towns and cities of Spain, mainly in the southern Valencia Communit y. According to popular tradition the festivals commemorate the battles, combats and fights between Moors and Christians during the period known as Reconquista. The people that take part in the festival are usually enlisted in filaes . The festivals last for several days. Christians wear fur, metallic helmets, and armour, fire loud harquebusiers, and ride horses. In contrast, Moors wear ancient Arab costumes, carry scimitars, and ride real camels or elephants. The festival develops among shots of gunpowder, medieval music, and fireworks, and ends with the Christians winning a simulated battle around a castle. 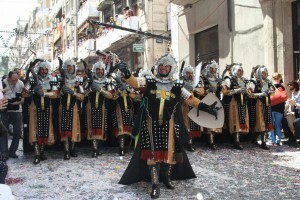 The main fiesta in the province has its own unique version in the capital city. It is held in five different district of the city. It starts in El Pa lamó in March, carries on Sant Blas in July. In summer it arrives to the country district of El Rebolledo in July and to the district of Altozano and José Antonio both in August. After these five fiestas, it will be the celebration of Alicante’s patron saint, Saint Nicholas of Bari, on December, 6 where the very best representation parades throughout the centre of Alicante in its consolidated Moors and Christians Entrance.